May 26, 2016 in "The Jungle Book: Alive With Magic"
Animal Kingdom's summer nighttime show "The Jungle Book: Alive with Magic" debuts this weekend, and Disney has just released a backstage look at the making of the show. 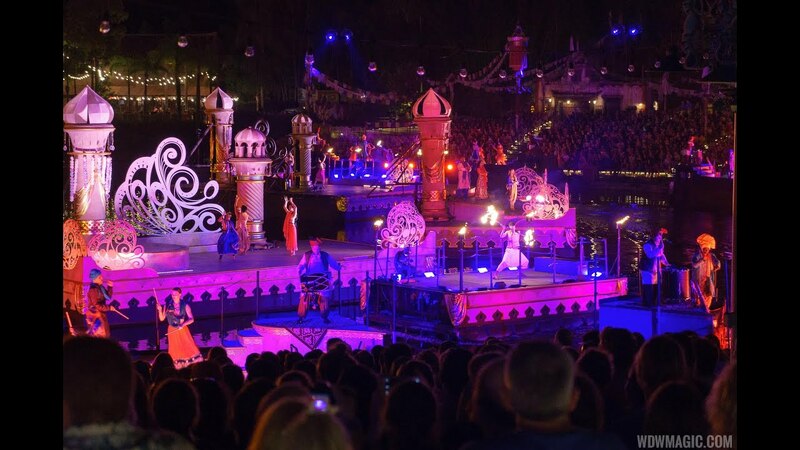 The show will include dozens of performs on five floating barges, and will use elements from the upcoming Rivers of Light, including the water screen projectors. Rivers of Light continues to be developed, although Disney has not yet given an opening date. "The Jungle Book: Alive with Magic" will play nightly through the summer.